Did you know that there is a way you can get around ever having to pay for a full airfare again? Don’t worry; this isn’t one of those things that sound way too good to be true – it can actually work! You just need to start collecting air miles whenever you fly anywhere. Almost all every airline has its very own frequent flyer program which it uses to reward its most loyal customers. Once you sign up to these kinds of programs, you will start earning points for every flight you take. These are known as air miles. Once you have banked enough air miles, you can then use these as part or full payment for future flights. 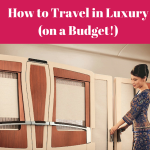 In some cases, they can even be cashed in for flight upgrades to business class! However, as you can probably tell, you will need to start earning the points before you can take advantage of them. But there are a few ways you can speed up earning these points and put them to the best possible use. Here are some air mile tips from a few seasoned travelers. You can only ever spend your air miles with the airline that you earned them at. So, for example, if you are signed up to the Delta air miles program and have earned some air miles on their flights, you can only spend these points on other Delta flights.You won’t be able to transfer your points to another airline reward scheme. So, it’s really important that you consider which program to sign up to. Ideally, it should be the airline that you usually use. If you tend to fly with more than one airline, you could always sign up to a couple of different loyalty schemes. It’s just that it might take you slightly longer to save up enough points to use on flights as you will be splitting your air miles. As with most loyalty schemes and bonus programs, you can’t earn any air miles retrospectively. So, even if you did take a long haul flight last year, you can’t claim the air miles for it as you weren’t enrolled in the program at the time. So, if you do want to start earning as many air miles as possible you need to sign up before you start traveling so that all of your flights will gain points that can be added to your pot. Why not take a look at some possible loyalty schemes now and sign up before you forget? As with saving up actual money in a bank, it is critical that you set yourself some goals for your air mile points. For instance, maybe there is a dream destination that you want to put your points towards. This goal will help to keep you focused while saving. 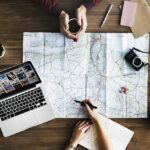 You will then be a lot less likely to splurge your points on a spontaneous trip. Such a splurge will only make it longer for you to earn all the points you need to book the flight to your dream trip! Alex Miller is a renowned expert when it comes to earning air miles. In fact, he managed to book flights for his partner and himself that should have cost a whopping $55,000 for less than $2,000. Pretty impressive, right?! Well, one of his great tips is to get a credit card that can also earn you air miles. There are now lots of banks that offer credit cards that you can also earn loyalty points with as you spend. Some banks have teamed up with airlines and will now allow the credit card loyalty points to be converted to air lines. As you can see then, getting a credit card with which you can do this will help you build up your air miles quicker than you might have thought possible! If you do decide to sign up to more than one airline air miles scheme, you might start to lose track of all the various pots of points that you have. It can be like taking care of a lot of different bank balances – having more than a handful can be difficult to keep track of! Thankfully, there is something that can help you with all of that; you just need to sign up to a loyalty points management program. Most of these are online programs that you just need to create an account with and sync all of your loyalty programs to. Every time you sign in, you will find that all of your various points are clearly displayed and you can get a quick overview of your status. Even though you might want to book a return trip with one airline, it could actually be worth thinking about booking two single flights with different airlines. In fact, some airlines might only let you book single flights when using your points in the first place. It’s always a good idea to shop around to see what different prices you can get for different flights, and this is even the case when you have air miles to spend. You could find that booking each flight with a different airline works out costing you a lot fewer points than if you book them both with the same company. Even though you will have to save up for longer to be able to use your points on business-class flights, you will find that you get a lot more for them this way. After all, you can take advantage of the business lounge in the airport and will also get a lot better meals and refreshments while on board. So, make sure that you use all of the tips above to get the most out of your air miles. Where in the world do you want to go?